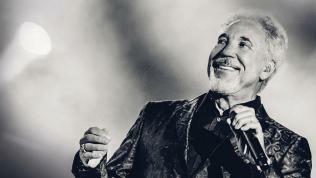 Tom Jones’ 50-year career has remarkably gone from strength to strength. Along with sustaining his popularity as a live performer and recording artist for five decades, he has garnered—at the age of 77—the best reviews of his career! Critics across the world are unanimous in their approval and admiration for both the recorded work and the performance of it in concert. Jones has a fundamental interest in a wide range of music. Although he is well known for hits including It’s Not Unusual, Kiss, Delilah, What’s New Pussycat, I’ll Never Fall In Love Again and If I Only Knew, he is first and foremost an artist with a true rhythm and blues soul. He has remained a vital recording artist, with his 1999 album Reload the biggest selling (5 million) of his then 35-year career. Tickets for the Budapest show are already available via www.livenation.hu, and www.funcode.hu. The show will have a theatrical layout at the Arena with only seated tickets, so fans should make sure they have their tickets soon this time.